Sometimes we feel we need to do everything to promote content and we do everything half way. What I like about this talk is that you can just do steps 1 to 4 as Neil Patel says. Write useful evergreen content and don’t write a college thesis to impress a teacher that’s no longer there. He covers simple writing tips and simple promotional methods that take work but they work. There are some gems in steps 5 to 10 though. I’m talking about content that people end up reading a year or 2 years from now and say ‘this is great’. I can take this content and actually do something with it. Implement it in my business and make money. Like how to guides, list. It’s great because it’s actionable. Evergreen content is content that will be valuable for a long time. No-one searches. If I write an article on how to medidate or do yoga better, do a certain position etter. 2 / 3 years from now people will still search for that. Evergreen content is valuable. People make the mistake of not writing the right type of copy like how to guides etc, they write making too much short term content rather than long term. You might not get a lot of traffic in the short term but over time people link to you and it grows. Thing about college is, everyone thinks it is boring. You may enjoy some parts but writing essays is boring. No-one likes wriring them. The thing with essays, is they put people to sleep if you have to read them. People think ‘I have been to college, I’m educated, let me write a theses, I’ll add an intro, conclusion’. Your teachers are not reading this, don’t put anyone to sleep with fancy words and vocabulary that others can’t understand. Write like you’re talking to a 5th grader. Create a conversation, don’t put people to sleep, use some humour, some witty banter, write the words ‘you’ and ‘i’ which feels like a conversation. Italicise words and phrases so it feels like a conversations. They’re then more likely to be read and share and spread. You need to take care of the basics like on-page etc. You can find the basics of SEO from Moz. Assuming this is done you need to promote it. Writing content is half the battle. What you want to do is create a list of 100 bloggers in your space. Email them and say ‘so and so, check out this post, I know you blog on this subject, it might be relevant to your subject’. I would not ask you to blog about it, I ask you to tweet it out. Give them the tweet to copy and paste. A proportion of these people will share it. 5–10% will tweet it out. Participate on community blogs so when you email them they’re more likely to respond. That’s how mashable initially grew, pete cashmore commented on blogs. It’s a simple strategy, too many people are lazy so they don’t want to do it. Comment sections can ask for your name, email and url sometimes. You don’t need to add your url in the comment itself. Mentioning people in your blog posts. There are other resources you can link to when writing a blog post. When you do this, let those people know that you mentioned them in your blog. Ask the to share it. It’s 20 to 30% response rate which is huge. [who doesn’t want to be quoted right? Especially people publishing online]. Communicate and network with them. Go to Forbes or huffingtonpost where people are guest posting and get to know the authors. Give feedback on their posts, tweet them out, build a bond and if you need a favour, ask them to get introduced to another writer at that publisher. When you get to guest posting, these companies don’t know who you are regardless of how much others might now. Once you get accepted for a guest post, write really good blog posts that are not promotional. Link back in your bio, that’s it. Once you start posting regularly you can link back to your site to a post that helps the reader. People are visiting your site. Try pop-ups, whatever you want to collect emails. Then, when you release new content, you can blast out to your lists. that will generate consistent traffic with people coming back to your site. Email generates social traffic. More comments is more text to be found in search engines for long term keywords. Give a free guide / e-book so your opt-in rates go through the roof. Create groups on facebook, twitter, linkedin. I like linkedin. I create groups on marketing leaders or yoga or whatever. Add people to the group, join other groups and invite other members. Once your group has 5,000 members, submit a post to the group and get traffic. It’s my number 1 social media channel (note: this was in 2014). Linkedin trumps facebook and other networks. I did not use advertising at first but now I do because the traffic is so valuable and high converting. If you’re strapped for time and money then just do steps 1 to 4 including emailing the 100 people to share it on twitter. If you have some money you can go to problogger jobs and find people and they’ll do it for 10 to 15 bucks an hour or more for higher quality stuff. You can even do a per article rate e.g. 50 bucks an article. 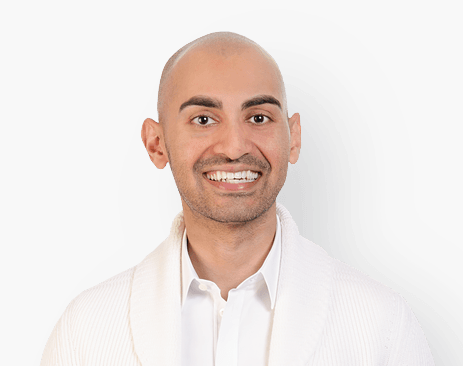 Related: Why Neil Patel’s and Brian Dean’s blog posts have the same look and structure and why that helps them win.